Flying is about to get ever so slightly less awful this year as the Transportation Security Administration is rolling out much-needed security checkpoint equipment upgrades at several airports that will drastically speed up the screening process by doing away with the need for passengers to empty the electronics and toiletries from their carry-on luggage. As we first reported in July of last year, since 2017 the TSA has been testing a new type of baggage scanner at New York’s John F. Kennedy International Airport, and over a dozen others around the country, that uses computed tomography, or CT, to image a bag’s contents in three dimensions. 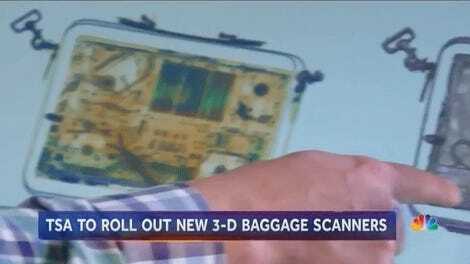 This provides TSA screeners with an instant 3D model that can be zoomed and rotated, allowing them to get a better look at everything a passenger is trying to bring onto a plane without actually opening the bag. The x-ray-based technology currently in use only generates two-dimensional images and while screeners can make adjustments to what they’re seeing to help differentiate everything inside a bag, quite often it still requires a physical inspection to confirm there’s no contraband; that slows down the process. In an effort to reduce these bottlenecks, passengers are currently required to remove electronics and toiletries ahead of time making them easier to image, but at the cost of convenience. But as Bloomberg reports, the trials for the new machines have been a success, and as a result, the TSA announced last week it was spending $97 million to buy 300 of the new CT machines (which cost roughly $300,000 a piece) that will be installed and used starting sometime this summer. The TSA hasn’t revealed which airports will be getting the upgrades, but if you live near a particularly busy hub you can probably expect to see the new machines rolled out sometime this year. The TSA did not immediately respond to Gizmodo’s request for comment. The new scanners aren’t going to completely eliminate lineups at airport security checkpoints; it will take a while for TSA staff to learn how to effectively use the new machines. 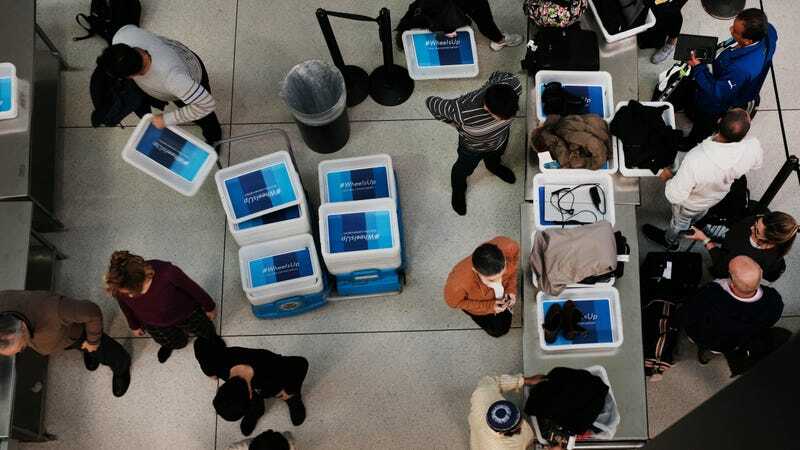 But as with many parts of the airport ordeal such as check-in and baggage check, eventually, the technology could help automate the security screening process, automatically detecting items that aren’t permitted in carry-on luggage. That’s the ideal outcome, but for now, not having to empty out your luggage and then repack it while juggling your belt and shoes is a big improvement.